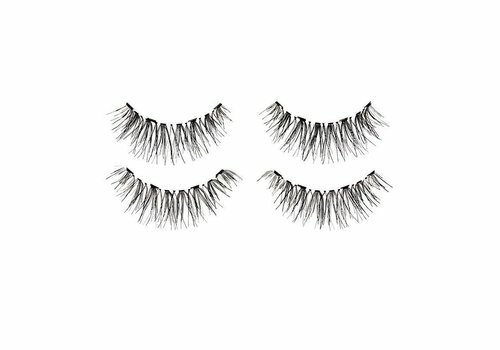 Buy Magnetic Lashes online at Boozyshop, the makeup webshop! Do you always have so much difficulty applying false eyelashes? Say no more! Because you never have to bumble with lashes again, not now that there is such a thing as magnetic lashes! With the smart system of magnetic eyelashes, you can provide your eye look with the most beautiful false eyelashes in no time at all! Bring the upper part of the magnetic lashes by placing them on top of your own lashes. Make sure they are in the right place before you continue! 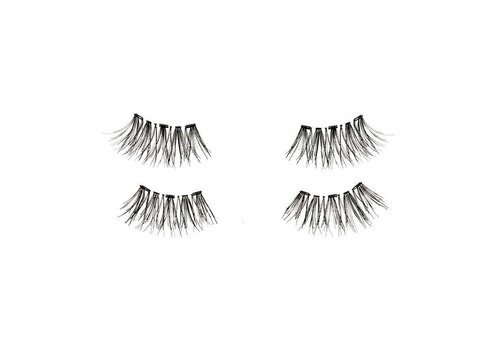 Grab the lower magnetic eyelashes between your fingers or with a lash applicator. Do not use a metal applicator, that is not so handy with the magnets! Tilt the eyelashes a quarter of a turn towards you, so that the eyelash edge and the magnets point upwards. Make sure the outer magnets of the lower and upper lashes contact each other. Are they okay? Then make contact with the rest of the magnets, working from the outside to the inside. Hold the upper magnetic as close as possible to your natural lash line with a finger for the best result! Buy magnetic eyelashes? Order them quickly at Boozyshop! Can't you wait until you finally get rid of mess with eyelash glue? 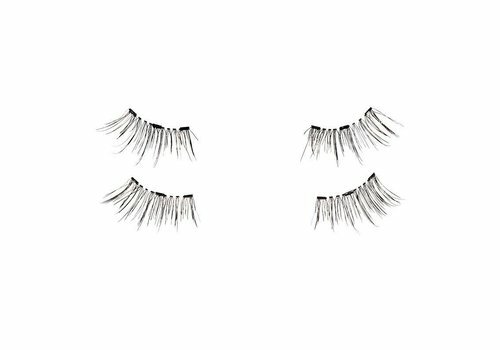 Order now fast magnetic lashes at Boozyshop! They are available in different sizes and styles, so there is always a variant that suits you exactly. Did you know that if you order for at least € 30, you get a free gift? What are you waiting for!